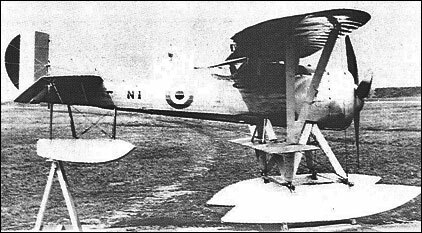 The decision to develop the P.V.2 as the P.V.2bis single-seat fighter seaplane resulted in major changes to the original prototype, the most significant being the raising of the upper wing by 30cm to improve the pilot's view for alighting and the insertion of centresection struts. The span and area of the upper wing were increased by introduction of a 61cm centre section, and the planned armament was two 7.7mm machine guns to fire forward and upward above the propeller, although, in the event, only one such gun was apparently fitted. The P.V.2bis was flown early in 1917, providing data for later Port Victoria types.